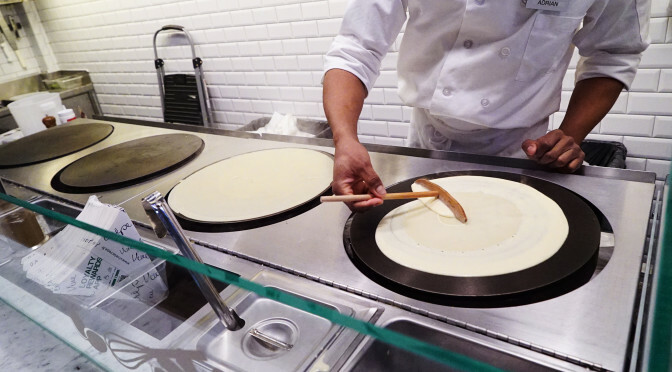 UPDATE – THIS JOINT IS NOW CLOSED! 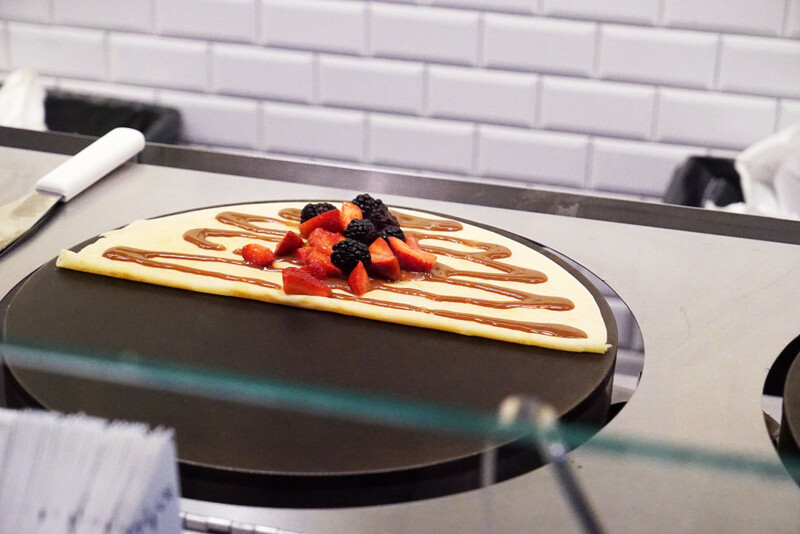 This little crepe spot just opened around the corner from my place, on 7th Avenue at 58th Street. 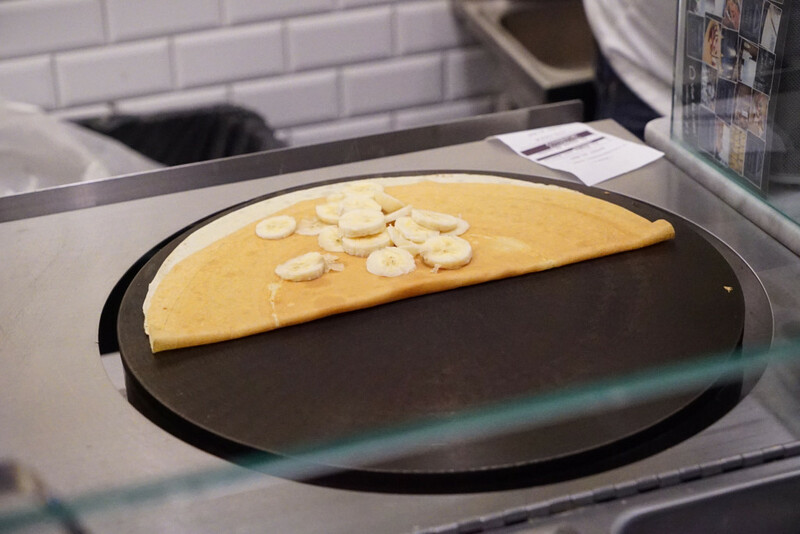 They serve both sweet and savory crepes, with stuff that’s suitable for everything from breakfast to lunch to dessert. My wife and I came for the dessert varietals. 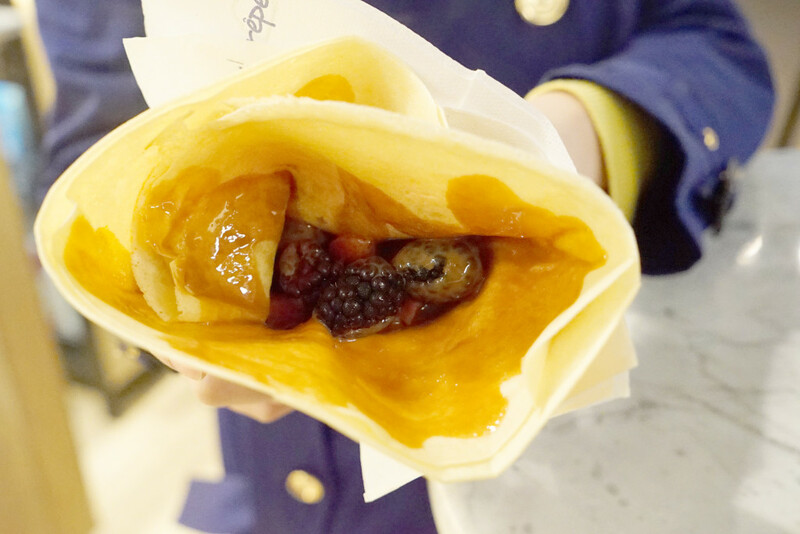 I got a butter and sugar crepe with bananas, and my wife got dolce de leche with strawberries and raspberries. Pretty great! 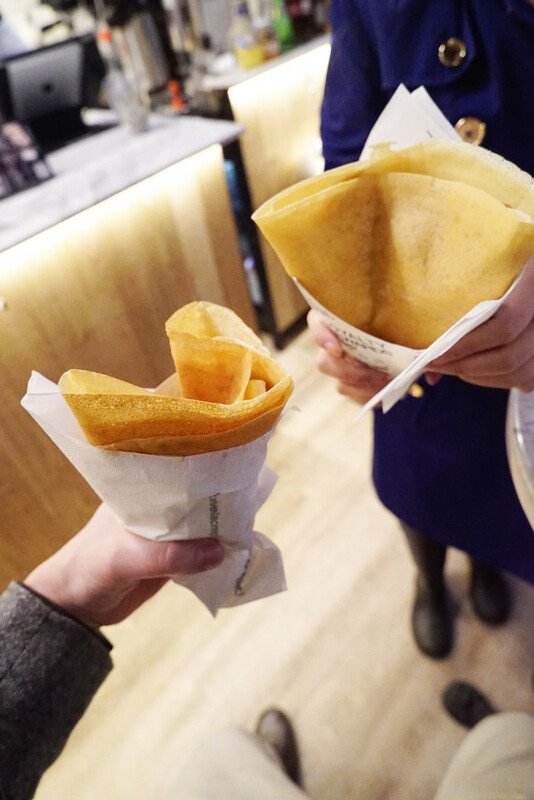 Light batter, airy and crisp. I have to come back and try the savory offerings.